Get the conversation started now. Magento 2 was released late in 2015, but if you are like many of the thousands of Magento 1.9 shop owners, you have not yet upgraded. This being May of 2017, we are halfway through the upgrade cycle. That is, Magento 2 was released 18 months ago, and 1.x will no longer be supported (no more critical security patch releases) by Magento 18 months from now. Now is the perfect time to get a plan in place to upgrade from 1.x to version 2. Magento 1.x themes don’t work with Magento 2, so they must be rebuilt or migrated. If you have exactly the site that you want in Magento 1.x, we will simply translate your existing theme into the format and configuration that Magento 2 understands. If it’s time for a design refresh, our designers will work closely with you and our development team to get the branding just right, engage your customers and ensure easy navigation, shopping and ordering from mobile devices (more than 50% of visitors on most sites). Magento 2 has an entirely new code base, so extensions need to be upgraded or replaced. Our approach is to first listen carefully to your requirements, and then to assess the functionality of the current group of extensions and recommend replacements that will meet or exceed your requirements. The Magento 2 administrative interface is much easier to use and has more built-in ability than its predecessor, so we can usually eliminate several extensions and accomplish more business goals in one fell swoop. The third pillar in any Magento migration is to get the data from the 1.x store into its new home in the 2.x store. Magento provides some useful data migration tools out of the box. Attributes, settings, categories, shops, customers, orders and more are migrated automatically. We provide the expertise needed to finish the job. 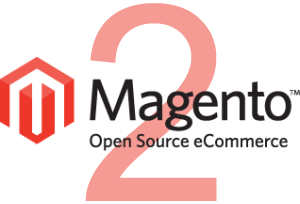 Whats new in Magento 2? Performance – Magento 2’s full page cache provides load speed improvements of about 20% in most cases. Combine that with our standard-issue CDN and server caching, and you are likely to see page load times decrease significantly in many cases. Good thing, because every 1 second of extra load time loses 7% of visitors. Admin Interface Improvements – Magento 2 administrative interface has been redesigned to make the most common tasks more intuitive and easier to complete quickly. Among other improvements, reporting and filtering is much improved, multiple admins can make edits at one time with no collisions, videos from Vimeo and YouTube are native and added very easily, product creation has been simplified and customer demographic information such as gender, DOB, are available by default. Checkout Pipeline Improved – Requiring a customer to create an account before checkout is a known conversion killer, so Magento made Guest Checkout standard in version 2. Several other needless fields (billing address for PayPal customers among them) have also been eliminated, and Braintree, Authorize.net and Paypal are included by default in the new version. Faster, More Complete Search – SOLR and ElasticSearch are supported in the new version. If you have ever listened carefully to a new customer, you know that search and navigation are two of the most important ways that people find your products, so this is an important one. There’s a whole lot more technical stuff, such as the upgrade from Prototype to jQuery, html5/ css3 standards support, built-in field-level form validation, and so much more. As you can see, there are many reasons to upgrade, and our development team is enthusiastic about Magento 2. In most situations, we are able to make significant improvements to your existing site during the upgrade process. We do this by listening carefully and applying our near-decade of experience with Magento to your shop. Drop us a line, we’d love to give you a free estimate on upgrading your Magento site. Magento 2 cannot be upgraded (from Magento 1, which is the focus of this post) through the admin panel or from composer, unfortunately. It is a complete rebuild. But once it is installed, subsequent updates can indeed be applied via composer or from the admin panel.